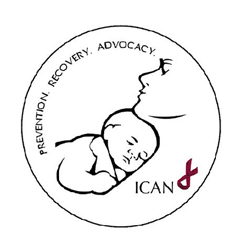 On Sunday, April 22, 2012, from 10 a.m.-1 p.m., the International Cesarean Awareness Network (ICAN) of Saskatoon is hosting a workshop with practical information for mothers recovering from a cesarean operation. "Cesarean recovery is both a physical and an emotional journey; this workshop will address both aspects of the recovery process," said Maureen Schofield, a Saskatoon mother and certified birth and postpartum doula with first-hand experience in cesarean recovery. Mothers who have recently has a cesarean operation, as well as those who are further along in their journey, should benefit from the information provided during the workshop. The event will be held at Birth Rhythms Pregnancy and Parenting Health Centre located in the studio at Mother’s Melody Retail Store, 248 3rd Avenue South in downtown Saskatoon. Registration is $20 per person. Contact Maureen at 653-5521 or via e-mail to register.